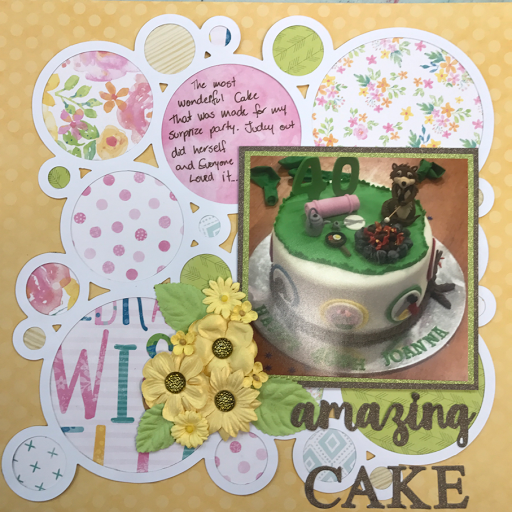 This is a page that I have done for my birthday week album, using a Kaisercraft specialty paper and some of my new fav Coco Vanilla birthday range. The photo is of the wonderful birthday cake that was made for me. It is of Rikki Tikki Tavi (My cub leader name) having a cookout. around the sides are pictures made of icing, of all the things I like doing.